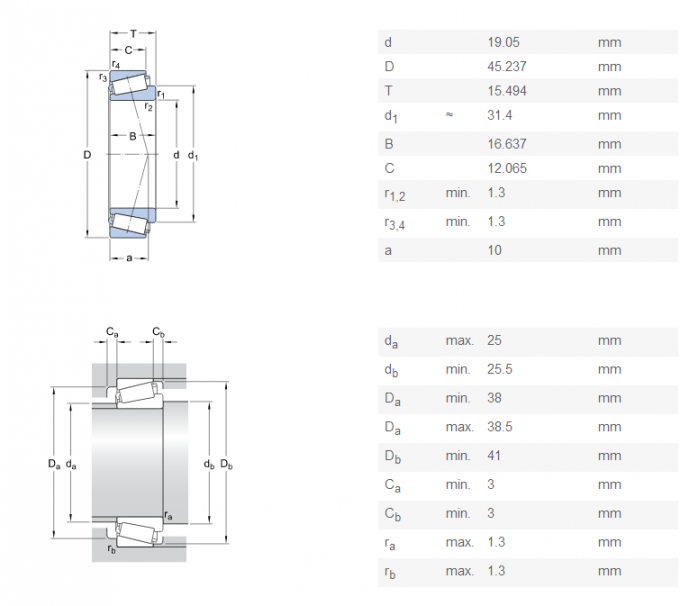 Tapered roller bearings have tapered inner and outer ring raceways and tapered rollers. They are designed to accommodate combined loads, i.e. simultaneously acting radial and axial loads. 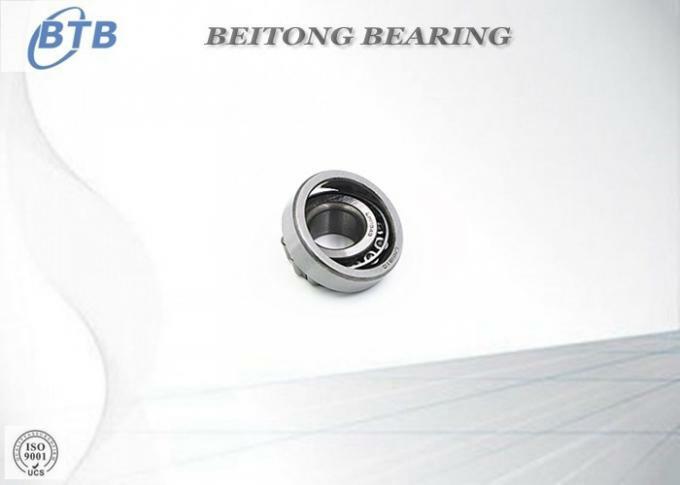 The projection lines of the raceways meet at a common point on the bearing axis to provide true rolling and low friction. 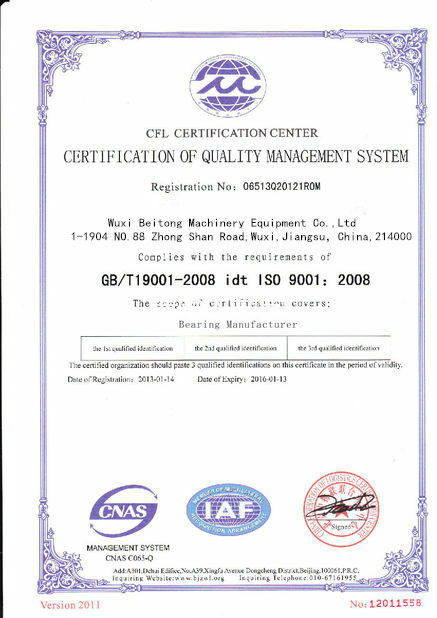 The axial load carrying capacity of tapered roller bearings increases with increasing contact angle . The size of the angle is indicated by the calculation factor e : the larger the value of e, the larger the contact angle. A single row tapered roller bearing is typically adjusted against a second tapered roller bearing. 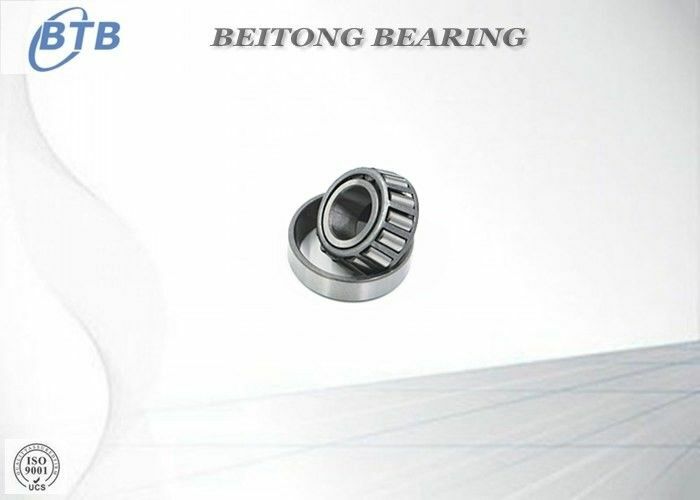 Single row tapered roller bearings are separable ,i.e. the inner ring with roller and cage assembly (cone) can be mounted separately from the outer ring (cup).